My name is Peggy Grigor, owner of The Pottery Store in Chemainus. Thanks for dropping by. 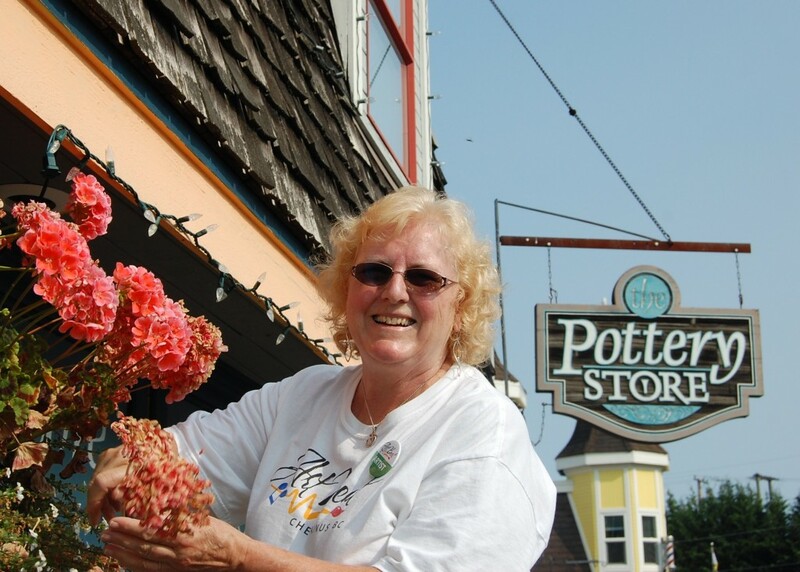 We want to take this opportunity to thank all our clients, patrons and visitors for your support over the seventeen year history of The Pottery Store. Although our Willow Street store front is now closed, I invite you to visit my home studio, showroom and website. 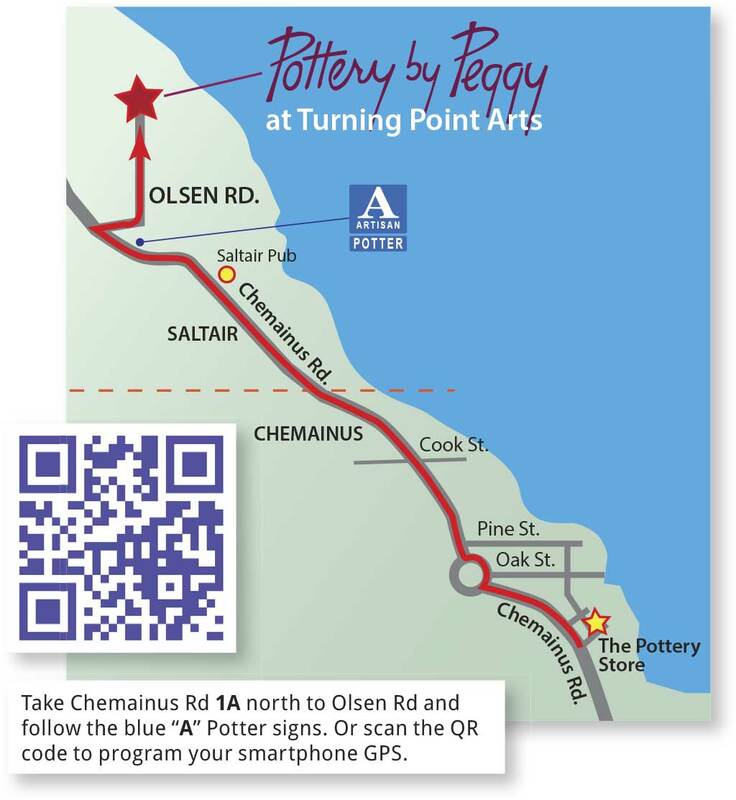 Pottery by Peggy, located in Sunny Saltair, is just 6 kilometers north of Willow Street along the scenic oceanside A1 highway (Chemainus Road). 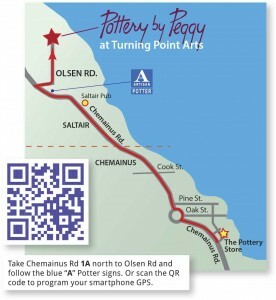 Please explore my website to learn more about Pottery by Peggy. Be sure to drop in at my studio next time you are in the area. For contact information, hours of operation and detailed driving instructions, please click here. My wife and I just moved fom Nanaimo to the lower mainland and during the move her favourite teapot was broken. I realize that replacing it might be impossible, but if you could assist me in finding her a replacement, that would be greatly appreciated. If you could reply to this inquiry, I could send some photos of what it looked like. It was quite eclectic.